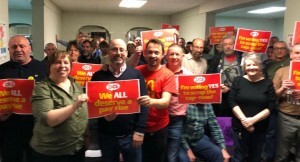 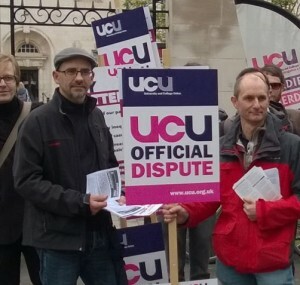 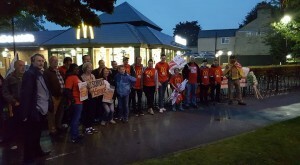 National Shop Stewards Network (NSSN) supporters took part in protests around the country last Saturday on the day of action called by Health Campaigns Together (which we are affiliated to) and the People’s Assembly. 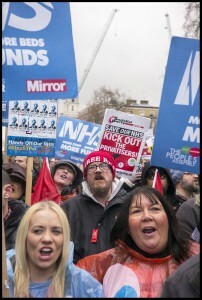 Tens of thousands took to the streets, including on the emergency London demonstration, to send a message to the Tories that we want the privatisers out of the NHS and more beds and staff in. 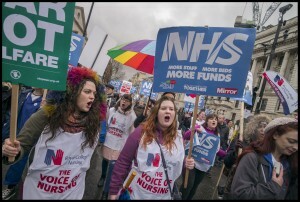 “In the last 6 years we have lost 15,000 beds. 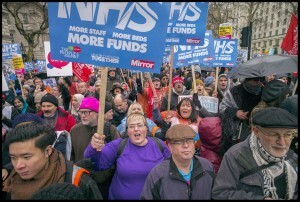 While claiming that there is no magic money tree, successive governments have thrown £billions at the likes of G4S, Carillion and Virgin Care…and all the while we are 100,000 members of staff short in the NHS and 8 years of pay cuts to the value of 14%…Today we have marched for more staff, more beds and more funds…but these things are not compatible with a Tory government…if we want an NHS we have to bring them down.